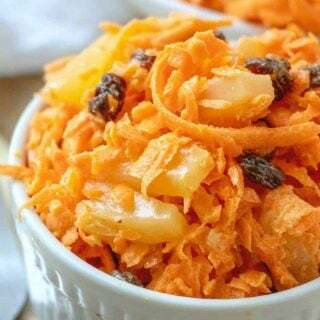 Carrot raisin salad is one of those dishes I always remember eating and it was one of those foods that I remember my Mom making on a regular rotation when I was a kid. There are a few of those recipes that I have shared on here already: MOM’S TACO SALAD, PEANUT BUTTER RICE KRISPIES TREATS, and ORANGE FLUFF. 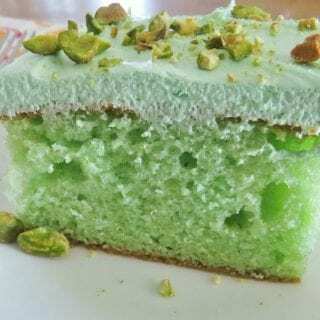 I still love to make and eat this. I was so disappointed when Chick-fil-A decided to take it off their menu. It is a side item you don’t see hardly ever when eating out and I always enjoyed this little treat there. I suppose it just gives me an excuse to make a big batch at home. I love when I make it for friends. Everyone gets just a bit excited when they see this in a bowl. It’s one of those dishes that we don’t often make for ourselves but it shows up on the potluck table! So it’s definitely a treat! Also, if you really like CHICK-FIL-A’s SUPERFOOD SALAD then you need to try my version. It’s so easy and it really is a fresh and tasty salad! 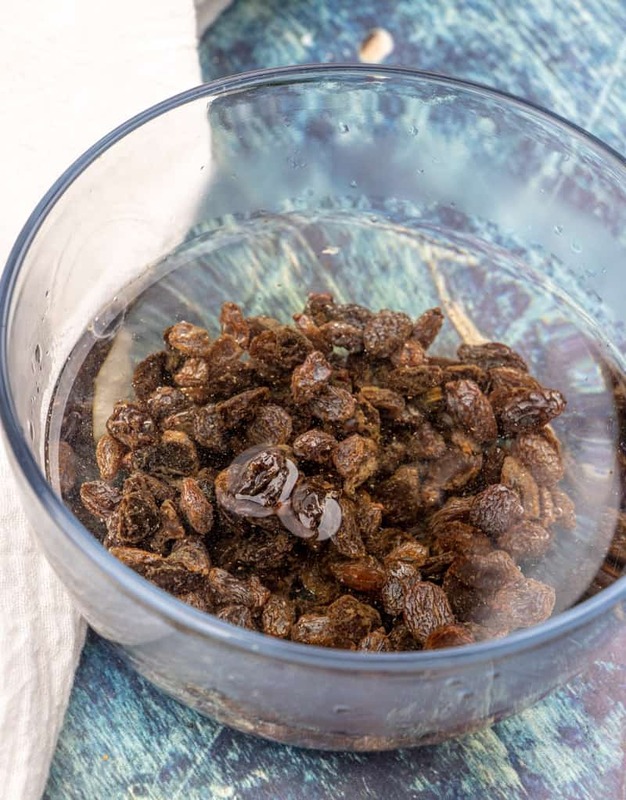 Put raisins in a cup of very warm water (or warmed up apple juice/ leftover pineapple juice) so they plump back up. Once they plump back up, discard the liquid. Drain pineapple of excess juices. Peel carrots and then grate them. If making a double batch of this salad, it may be faster to use the grater on your food processor. 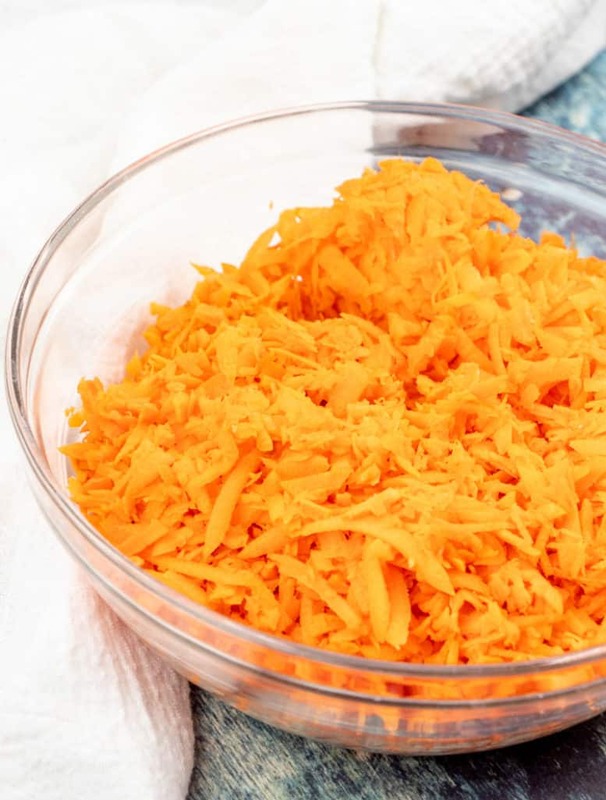 In a bowl, toss grated carrots with mayonnaise and sugar. Then add in raisins and pineapple. Give it all a good stir. Cover and put in the fridge to chill thoroughly. Give it another good stir before serving. 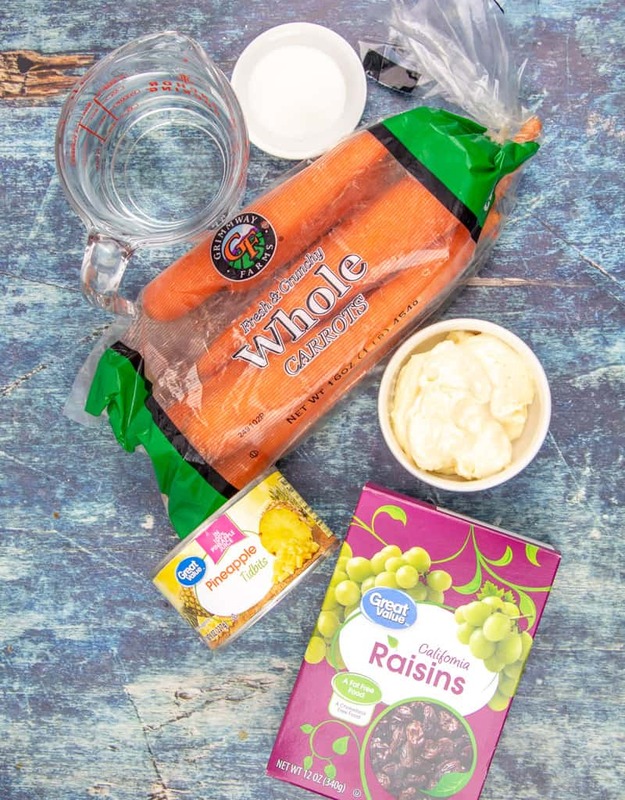 This Carrot Raisin Salad recipe is just like the one that used to be served at Chick-fil-A. 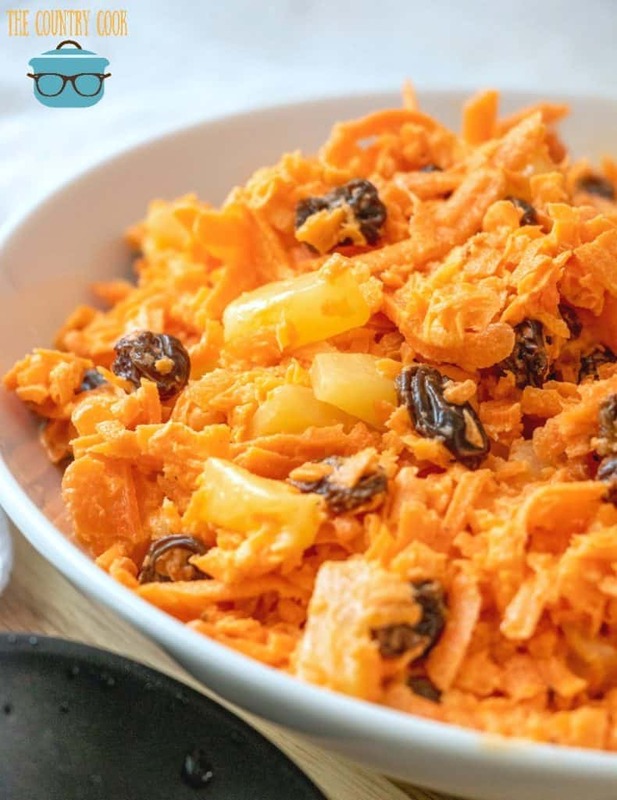 Plump raisins, freshly grated carrots and pineapple tidbits! Put raisins in a cup of very warm water (or warmed up apple juice) so they plump back up. Once they plump up, drain water or juice. Drain pineapple of excess juices. Peel carrots and then grate them. If making a double batch of this salad, it may be faster to use the grater on your food processor. 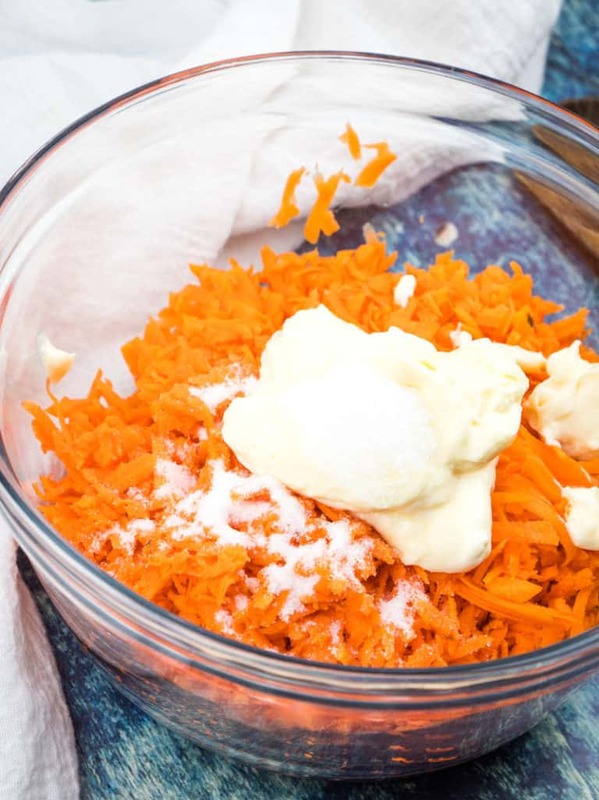 In a medium bowl, toss grated carrots with mayo and sugar. Then add in raisins and pineapple and stir until combined. Cover and put in the fridge to chill thoroughly. Give it another good stir before serving. WANT MORE FUN SALADS LIKE THIS ONE? GIVE THESE A TRY! Wondering if anyone's tried this with honey instead of sugar? I also add a dash of cinnamon and often grate in an apple–the grand kids LOVE it! Also, try adding chopped roasted walnuts or pecans to up the nutritive value. That looks just fantastic. Cannot wait to try it. Will do! I'm waiting until I make my next batch of mayonnaise, which I want to try with coconut oil. In the meantime, I'll share a similar recipe I made this morning (inspired by both this recipe & a friend's yam/sweet potato recipe). 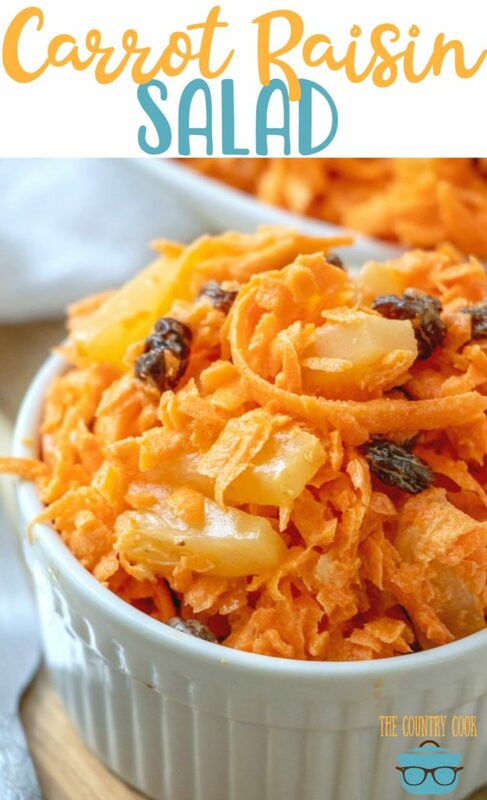 Mix shredded carrots, yams & apples, a handful of raisins and sprinkle with cinnamon. I already had the first 2 ingredients grated, so I took a couple apples & grated them by hand on the smaller side of the grater and due to the juiciness of the apples it came out more like applesauce. My girls (most of whom would *not* eat raw yams or carrots) loved it. In fact one of them called it applesauce. 🙂 Definitely a keeper! 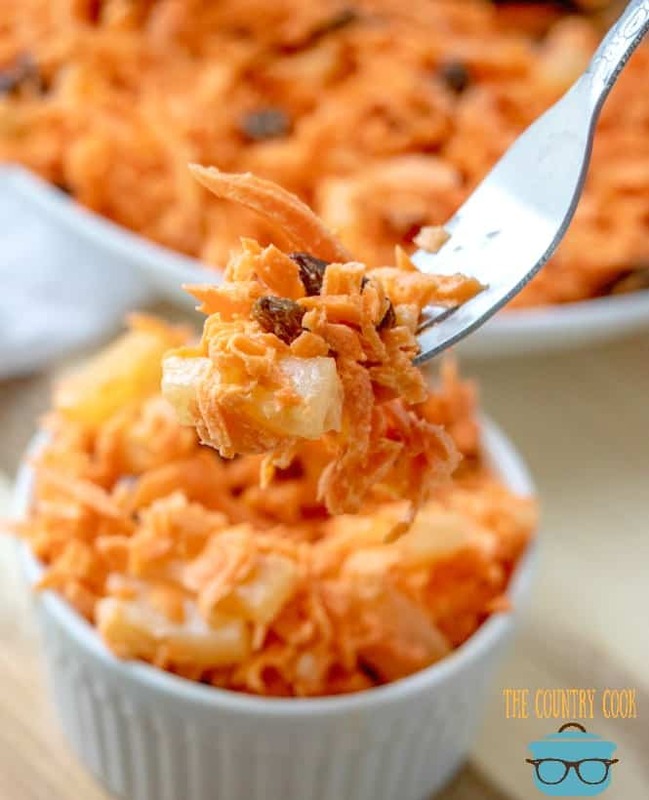 I love carrot salad and this recipe seems to be the original dish that I tried at a local restaurant. I'm going to try it very soon. I guess I'm not the only one that likes pineapple in the salad! Can't get enough carrots! i love this salad! my mom use to make this all the time. she used miracle whip instead of mayo & added mini marshmallows…YUMMY! thanks for the reminder! My first time making Carrot Salad, and it was so good! I used Miracle Whip and gave the carrots a few quick pulses in the food processor. Loved the addition of pineapple. 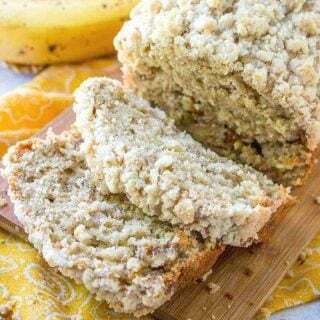 Great recipe, and healthy too! I am not a big mayo fan. Might try making this with some plain greek yogurt. Thanks for the idea! I haven't had this salad in a long time. I do believe my mother used to put walnuts in it too. Will have to whip me up a bowl! Will be pinning for sure! 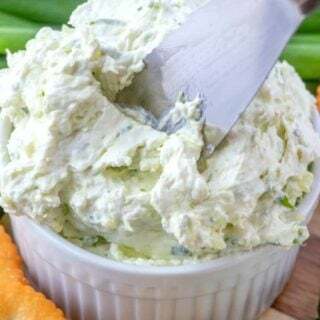 I LOVED it, used fresh pineapple and half greek yogurt SO good thank you! 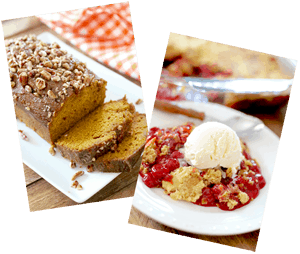 Even more healthy and delicious try making it with vanilla yogurt. I use non fat Greek. Nummy!! I have never added the pineapple but am going to try it!! 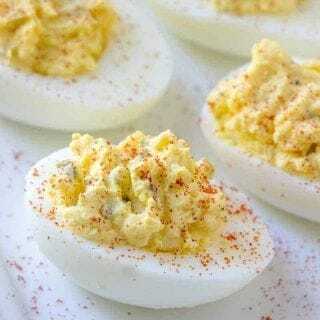 I have not tried this yet but I was looking for something new to try for a church luncheon coming up next Sunday. Sounds like something that might be enjoyed and it's healthy. I'm thinking some pecans added would be great. I'm going to make a small bowl of this just to see how it goes over. I know I'm going to like it. 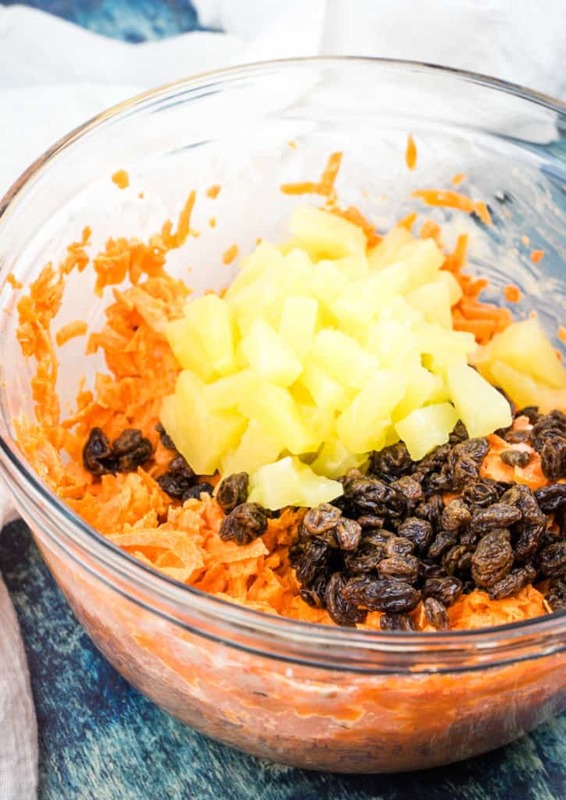 I love carrots, pineapple and raisins. Seeing this salad brings back happy memories for me. When our 3 children were young and their engineer father traveled a lot, I would make this favorite meal when he was out of town (because he hated mac & cheese): macaroni & cheese, carrot & raisin salad and green beans. It was easy, healthy and delicious! making this for 80 people, next week. Hope 15 lbs of carrots will be enough Such a beautiful salad.. Think this is the salad Furr’s Cafeteria used to serve. Grandkids expect carrot for holiday meals I’m going to try this instead of cooked. Thank for the recipe I think it is what I was looking for. Thanks tor the great recipe! Similar to Luby’s Cafeteria! Mom always made it without the pineapple but it does makes it better! 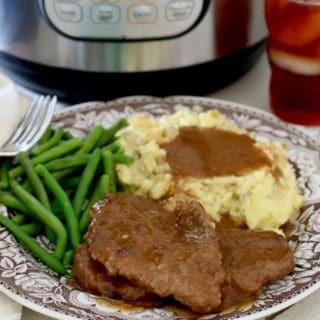 I used Splenda Naturals Stevia sweetener and its delicious. Reversed Type 2 Diabetes & get enough carbs & sugar in the carrots. Will be making it more often. Can you tell what size Can is the pineapple tidbits? (Weight) Many thanks! I’m not sure of the content size, but it’s the small can about the size of a 5 ounce can of tuna. I know that this salad will taste good because it is the one my mother made for us in the 1950’s. Thank you for the recipe because my Momma just threw it together and I never could get the proportions right. Thank you for this recipe. My Grandmother used to make this. I also liked getting it at Chick-fil-A. I was disappointed when they stopped making it. Thank you again and I look forward to making it. I am giving this a 5* rating because it is exactly the same one I use to eat as a child. Have not made it in a long time but we have a 5th Sunday coming up this month, March 2019 and I will be making it. Will let you know how people react to it. 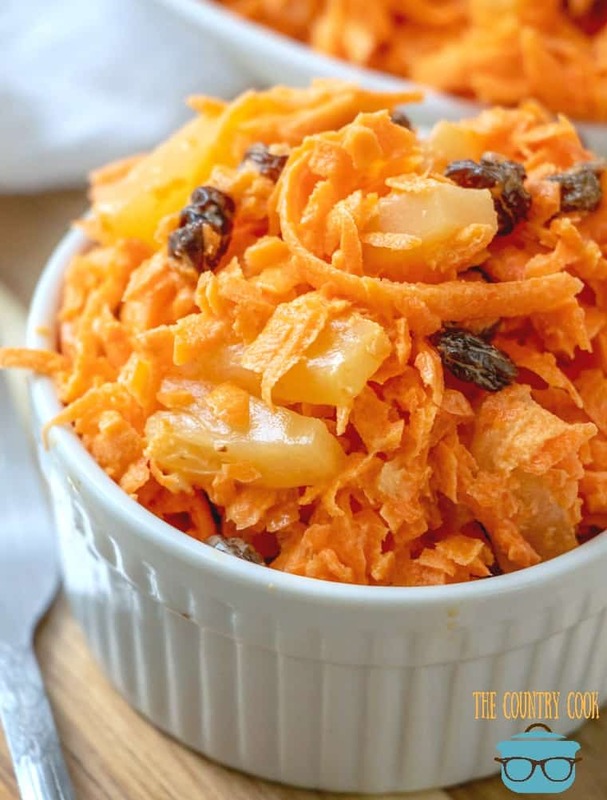 I don’t think I’ve ever had carrot salad, but I love recipes with a vintage feel like this. 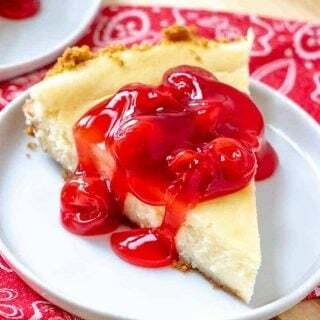 I am going to have to make some asap! Hope you love it Carlee! !